India U-19 World Cup winning commander Prithvi Shaw is set to make his senior Test make a big appearance for India in the primary Test against West Indies which begins from Thursday. 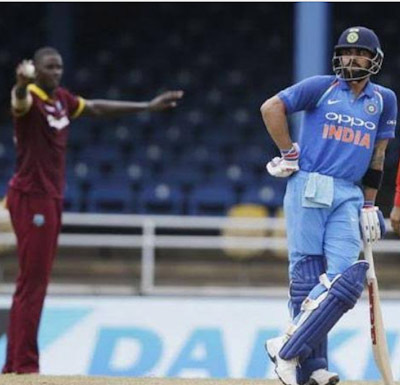 Talking in a video transferred on BCCI, the right-hand batsman discussed how captain Virat Kohli and mentor Ravi Shastri made him feel good amid his first practice session. "I am feeling great, somewhat apprehensive. In any case, when I went to the changing area, Virat bhai and Ravi sir let me know there is no senior and junior. It made me feel great and pleasant. Everybody was extremely glad to see me in the changing area. We simply completed our first batting session. It was great. I have truly made the most of my first day in the training session and it's been going incredible," he said. The 18-year-old further proceeded to discuss the commander and depicted him as an "entertaining person" out of the field. "I think Virat bhai is an extremely interesting person off the field. Obviously, we as a whole know how intense he is on the field. In any case, off the field, he is a pleasant and amusing person. Also, I just addressed him and he just began a few jokes. He endeavored to communicate in Marathi which was extremely entertaining. It's a group holding in the Indian cricket. It's extremely decent to see making myself agreeable and truly bailing me out on the off chance that I am anxious," he said. "I had no plans going into the training session. I ran with a clear personality. I simply did not have any desire to get out in light of the fact that clearly, at whatever point I go to net practice, I don't prefer to get out over yonder, on the grounds that it's imperative before the amusement to bat as indicated by how you will bat in the match. It was great and extremely fun and I had an awesome throwdown against Sanjay Bangar sir and Raghu toss a few balls also. Everything was flawless, and I truly making the most of my first practice session."